Brussel declaration on principles for science & policy making | Climate Etc. In this age of politicization of science and activist scientists, the Brussel Declaration offers some very good advice and deserves to be widely read and discussed. The guiding principles of recommendations included in the declaration hinge on responsibility, integrity, independence, and accountability. They are the backbone for developing and communicating science to inform and evaluate policy. Currently, much of the information—including that of scientific nature—citizens receive on a topic where policy has yet to be decided is not accepted de facto. Often, counter-evidence immediately challenges the original standpoint. Our philosophy remains that everybody’s science is welcome under scrutiny. Bans or cherry-picking just does not work. Think-tanks, politically appointed commissions and expert groups are manifest. Yet, there are few checks and balances in place nor are there means to contest when policies proposed by academics, thought leaders and liberals are clearly not evidence-based, nor in the interest of those tax paying citizens they are supposed to serve. And people’s well-being suffers as a result. Scientists need to convey the best current evidence while acknowledging the limits of science and listening and responding seriously to criticism. Scientists must justify their recommendations and better engage when faced with such argument and criticism. “Trust me, I’m a scientist” does not, and should not convince. Scrutiny matters too and discounting ‘citizen science’ is erroneous. Where there are disagreements as to the interpretation of scientific data this should be acknowledged and addressed. Scientists need to recognise that they are advocates with vested interests too – in their case, in their own science. The science-policy interface has become increasingly dysfunctional in recent decades, especially on topics where there is political disagreement. Climate change is an obvious example, but there are many others. The Brussel Declaration is very timely. It rightly lays out responsibilities for scientists, social scientists, policy makers, the public, media, industry and interest groups. I don’t agree with everything as stated in the Declaration but the Declaration is not intended to be dogmatic, but rather to serve as a spring-board for discussion of these issues. As a group, scientists tend to be naive and unrealistic regarding the translation of their scientific ‘facts’ or ‘factoids’ into policies. Saying ‘trust me, I’m a scientist’ has increasingly become a trigger for public skepticism. The role of Science Advisor in national governments plays a critical role in the function at the interface between science and policy. President Obama’s Science Advisor, John Holdren, acted to politicize science and scientize politics — exactly what you DON’T want a Science Advisor to do. President Trump has an opportunity to select a Science Advisor that can lay the ground work for restoring a healthy interface between science and policy. I hope that he does not select a Science Advisor that is a partisan on one of the big science-policy controversies of the day, but rather someone who can frame a healthy relationship between science and policy. Generally the only application of “social sciences” in the application of “science-based policy” we have seen to date is to find better ways to propagandize the public. Scientists should acknowledge the potential for bias, groupthink, and vested interests as they promote the scientific consensus. Yes, epitomised superbly by the likes of Loopy Lew Lewandowsky and Cook the (failed) Cartoonist. It’s still up in the air as to whether January 2017 will be the last month of the 2016-2017 La Nina or the first month of the hottest ENSO neutral ever. I suspect the first month of the hottest ENSO neutral ever, which is disappointing. The hottest La Niña evah deserves to span across two years… the hottest evah16-17 La Niña sounds so much longer than hottest evah 16 La Niña. OHC back to increasing. 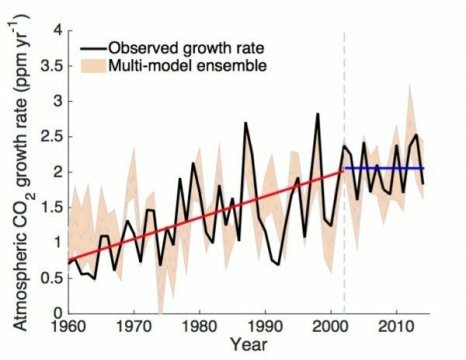 Rate sea level rise back to increasing. Acceleration the satellite sea level record imminent. February 2017 certain to have a higher anomaly than the majority of the months in the 2014-2016 EL Niño. Great time to bring in a fully politicized science advisor so as to sweep reality under an Oval Office gold rug. Happer obviously fits the bill. Choosing him would make teh Donald smart. Just like choosing Pruitt did. …cherry-picking just does not work. AGW is the Science of Cherry Picking. I hope that he does not select a Science Advisor that is a partisan on one of the big science-policy controversies of the day, but rather someone who can frame a healthy relationship between science and policy. How would you regard Happer, if appointed – partisan, or someone who can frame a healthy relationship? Your question is a good topic for discussion on this thread, but I’m not going to weigh in. I looked at his testimony and it didn’t seem that controversial. Having a “Team B” was what he was advocating with the IPCC being “Team A”. Seems innocuous to me. He himself seems to have worked on GCM’s earlier in his career. Happer disagrees with you. Perhaps he is wrong, perhaps you are wrong. Dialogue would be good, but religiosity prevents dialogue. Religiosity is an unwillingness to be wrong. Nobody wants to be wrong, but true scientists are willing to risk discussion. Happer needs to go through the risks in articles like this, and figure out how to downplay them all, otherwise he is just skirting the real issues with his happy talk. A debate on these risks would be good to see for whomever becomes the science advisor. Thanks for the link. Available data makes it easy to discount all those risks. Happer does not strike me as a “happy talk” kind of guy. The other article I linked indicates that he things more CO2 is great because of greening. He has not mentioned any even potential downsides at all as far as I know, but if anyone can find one, I can stand corrected. Once again, the evidence is on his side at current level. If I heard any “burn, baby burn” from him I would share your concern. If he still drives, I could see him driving a hybrid. I think some people need to see the disaster in their backyard or out of their window before they sense something has to be done. 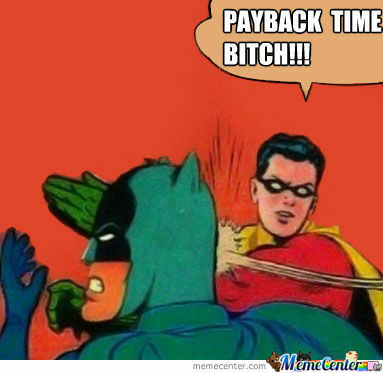 That’s just the way it is with some people. Blinders. True, but the last election is ample evidence that condecending government creates a backlash. You can’t just send them a flaming Jaws imagery and say, “Here, you haven’t done the homework, just believe this.” They are way too smart for that. WE, in the grand sense, even with our differing opinions having done the homework, must find a way to communicate that the danger equals the uncertainty. This is something everyone understands from crossing a busy street. Crossing a busy street is profoundly different in places with street lights and those without, not to mention those places that are auto-dominated vs. those that are bicycle-dominated. Trump is a salesman and his voters were sold a bill of goods, which they are about to find out. He may get run out of town like Nixon before he does too much damage. Too many leaps of fact and faith in your comparison of presidents. Remember, presidents do unusual things – like Nixon establishing the EPA. Yes, Trump could save Medicare and ensure affordable health care for all, like he says he will. I’ll believe it when I see it, but I won’t hold my breath. Anyway, the EPA didn’t save Nixon, and Watergate is relatively minor compared to things being investigated now. He should just show his tax returns to allay all the speculation. How bad can it be? Hillary fought for universal healthcare before it was fashionable, and has persistently been on the side of human rights on the global stage, as well as being active in providing humanitarian aid. Trump, not so much. Are human rights settled science? Does every Homo sapiens born on this planet have an inalienable right to cutting edge medical care? Would that it be so. It is not currently possible. Advanced countries can afford to do this and do, except for the US for some reason. Everything has a cost. What is the cost that the ‘advanced’ countries make in order to achieve top of the shelf health care for all? Maybe we have other costs? I believe that this is not settled, nor is there a consensus, about what makes this so – assuming that we have one set of facts and one set of. Values and one set of prioritied. Certainly it is more efficient to pay for healthcare via taxes rather than via myriad insurance companies. Think big. There are other costs that the US is absorbing that these countries are not – like NATO, like lower consumer expectations, etc. Healthcare is a small percentage of defense in any country, including the US. Healthcare is drifting pretty far off topic, but hey, taking the “special” health care away from Congress et al and throwing them in with the rest of us sounds REAL good to me. Trump is just being realistic here. Obama succeeded in making healthcare a part of the social contract. Done deal for the US. Now, what about the third world? A recent opinion piece on William Happer here. I wonder if Judith would sign on to his belief of the more CO2 we emit, the better it will be for everyone. This seems like the kind of person Trump would pick. John Holdren was the person Obama did pick. He is famous for losing in the Simons-Ehrlich wager, proving that to forecast the future is difficult. This paper would appear to show that there is considerable evidence that such is – at current emission rates – likely to be the case. Global environmental change is rapidly altering the dynamics of terrestrial vegetation, with consequences for the functioning of the Earth system and provision of ecosystem services1, 2. Yet how global vegetation is responding to the changing environment is not well established. Here we use three long-term satellite leaf area index (LAI) records and ten global ecosystem models to investigate four key drivers of LAI trends during 1982–2009. We show a persistent and widespread increase of growing season integrated LAI (greening) over 25% to 50% of the global vegetated area, whereas less than 4% of the globe shows decreasing LAI (browning). Factorial simulations with multiple global ecosystem models suggest that CO2 fertilization effects explain 70% of the observed greening trend, followed by nitrogen deposition (9%), climate change (8%) and land cover change (LCC) (4%). CO2 fertilization effects explain most of the greening trends in the tropics, whereas climate change resulted in greening of the high latitudes and the Tibetan Plateau. LCC contributed most to the regional greening observed in southeast China and the eastern United States. The regional effects of unexplained factors suggest that the next generation of ecosystem models will need to explore the impacts of forest demography, differences in regional management intensities for cropland and pastures, and other emerging productivity constraints such as phosphorus availability. You assume that this is good – but the excerpt itself suggests that this may not be the case. I presume you mean the last paragraph, which I interpret as an assertion that more research – hence more money – will be required. Incidentally, are you acquainted with the acronym “CYA”, Robert, and the applicability of it to anyone currently publishing in the climate “science” arena – if they want to keep their grants coming in, that is? I meant the ‘greening’ itself. You assume it’s good. Perhaps in a greenhouse – but not likely in the real world. the more CO2 we emit, the better it will be for everyone. Probably right for some duration to come – the [sic] “social cost of carbon” is assessed to currently be negative. Skeptics need to be less timid about owning that argument in favor of emissions. Where are the op-eds on this? Are they afraid of looking crazy or something? Dunno, but it should be common sense. 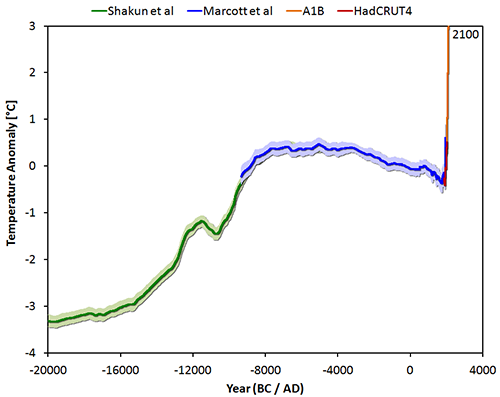 Fossil fuel use to date has built civilization. Increased CO2 has improved plant growth and crop yield. Not much indication of coincident harm. To be sure, that’s not forever. But for the time being, CO2 = good. Before fossil fuels, people used wood and dung or whale oil. Fuels change. Time to move on to more modern methods without side effects or dwindling supplies. Fossil side effects still highly uncertain. Supplies good for many centuries yet. Yes, you and I are free to do so. You are not free to make others pay for your expensive choices. Turns out they are cheaper when costs are accounted for correctly. It’s a moral issue. Turns out they are cheaper when costs are accounted for correctly. If that’s true, you don’t have to do anything then – people will buy cheaper. I have some concerns about global declarations on principles such as this. The UNFCCC declaration of principles ended up being a broadly worded manifesto that pointed the world in a direction before the problem was understood … and few of the signors understood just how this would develop and where it would take us … e.g., 25 years later. In defining the problem as manmade carbon based fuels, rather than climate change due to all known and yet to be determined causes. This allowed the creation of legions of protagonists and worldwide industry and movement against manmade carbon fuel with tons of advocacy and research moneys which directed the trajectory and outcome of the “movement.” Makes you wonder if this was never, in fact, about climate but about creating the new world order… and, yet there is hope. I love especially the contribution of social sciences – I am not sure if it was Prof. Lewandowsky, who formulated it succinctly: The less we know about a problem, the more urgent an immediate action becomes. 9. Policy-makers must listen, consult and be held accountable BY WHOM? 12. Policy-makers should be willing to justify decisions, particularly where they deviate from independent scientific advice POLICY MAKERS SHOULD BE FREE TO DECLINE THE ADVICE OF A SCIENTIST WITHOUT ARGUMENT. Climate Science will never conform to the Brussel Declaration. Nor will Climate Scientists validate their models, cooperate in reproducibility/replication efforts and join robust debates! No chance, you’ll be lucky to get the data, never mind the models! “Why should I make the data available to you, when your aim is to try and find something wrong with it” seems to be the modus operandum of the average climate “scientist”. Thanks for the link, Dr. Judith. While it was interesting, it was badly flawed because it did not define “science”. To me science is a process, not a thing. Others have other very different definitions. Without a clear definition of whatever it might be that they are calling “science”, I fear that the document is actively misleading. Just what is this “science” that they speak of? One of the huge problems that I see is that many people who are called “scientists” today are nothing of the sort. By that I mean that science as a process requires transparency as to all information needed to replicate your work. This means you need to provide computer code AS USED and the data AS USED. If you refuse to do that, if your work is not totally transparent and available, you are not practicing science, and are thus not a scientist. Without dealing with that issue, and without providing a clear definition of what science is, the paper is simply not useful. Tend to agree. A further issue with most complicated policies is that the scientific evidence often isn’t clear cut. The science is settled argument just means it isn’t; else such an argument would not be needed. Agree with both on the nature of science. Per previous post some like Michael Shermer say ‘science and skepticism are synonymous’. But likely everyone on the planet is skeptical of something. Of what in each case is dependent on cultural values, as these modulate innate skepticism. Science is a process that if scrupulously followed, separates skepticism from cultural values and lesser biases, hence making it objective. ‘Settled argument’, as well as being a contradiction in terms when used as an argument, as Rud notes, comes from cultural consensus, revealing that the process meant to be providing objectivity has failed. Not as detailed as it might be and there is some ambiguity in the language, but I think the right intent is there. Agree with Willis, Rud, Andy on theme of defining science. The declaration readsbto me like special pleading for hard science to recognise soft science as legit. As a former economic policy officer, whose advice at times included policy on CAGW and other environmental issues, I agree with the four posts. Re: “Scientific advice must be more involved in all stages of the policy-making process,” many policy issues do not depend in any way on scientific advice. Neither science, nor nature has an agenda. That’s the domain of moralists, politicians and bureaucrats. Unless you’re a politician or a bureaucrat, that makes you a moralist, jnalven. This seems a complete and just description of climate science. Simply put – science – the real empirical and uncertain mess that is true science – is unfit for the purpose of policy formulation. Science should exist in a separate universe – where it is proposed, tested, refined, expanded and refuted. Rather than in Newton’s proposition – it should not be regarded as true. A manufactured consensus is a poor substitute for the slow distillation of truth – and peer-review is no guarantee of anything at all. The latter sees science reduced to the lowest common denominator for the purpose of extrinsic social-engineering ambitions it would seem. Not a recipe for good science. The question is how should policy use science? It may be a blow to climate science delusions of relevance but it has very to contribute at all. The bottom line hasn’t changed since 1990 – we are changing the atmosphere with no certainty as to outcomes. The quintessential action in ignorance. The solutions are technological rather than scientific as such. The unwarranted credibility to views not based on facts and sound scientific processes and evidence in areas such as climate science or the safety of vaccines. if you believe and support the alarmism, this means one thing, if you do not believe and support the alarmism this means a different thing. Noone seriously believes climate ‘scientists’ in the main do anything resembling real science anymore; it’s mainly advocacy dressed up as science. That their ability to use tax money to spread their advocacy is not the tragedy some imagine it is. Let them use their own money for that. Read both the Manifesto and the Declaration. Reaction is nice try, but doomed to practical failure because far too idealistic. For example, scientists open to criticism–should be, but not when their careers are built around certain outcomes being ‘right’, like Mann and his hockeystick. Not when potential policies are polarizing, as with the safety of GMO crops. Not when the politics involves any whiff of the precautionary principle, because then economics gets left out. Not when possible policies are entangled in long standing special interest agendas (think Greenpeace), because then politics not ‘science’ rules the discussion. Finally not for multifaceted wicked problems, because almost by definition there isn’t sufficient ‘science’ in the first place–or the problem would not be wicked. There may be many individual pieces of ‘science’ available, but the essential elements are the interconnections. I tend to agree with your conclusion, but only when there is only one possible solution. If there multiple solutions to the problem, costs need to be considered. I don’t often see this discussed when the precautionary principle is invoked. I believe the Science Advisor will have areas of expertise that, having gone through the process of science, he/she will have first hand knowledge of the pitfalls and scamming that occurs for their own as well as in other areas of science. What I believe the next Science Advisor should bring to the table is a first hand knowledge of climate change science. The Science Advisor may even have a biased perspective but grounded in the details and capable of ferreting out the nuances and uncertainties. The Science Advisor would remain open minded to changes in the science as well as the story telling so much in evidence. Climate change knowledge is needed to separate policy from what is known at least, with a modicum of certainty. Climate change has been such a quixotic topic in the last several decades and so much a part of the Trump campaign, that a “Refresh” button needs to be pushed at this point regarding the science particularly in the public discourse. The Science Advisor should have a Rolodex of people with whom he/she can speak on issues of science where the Advisor is not expert. Then these issues boil down to: whom can you trust? Unfortunately, there may not be many names at the tip of one’s tongue who would fall into this paramount category. Integrity and trustworthiness are scarce commodities. Here in the UK, currently anything to do with Brussels is an anathema, or so we are being convinced that is so by the cabal of ‘Leavers’, now led by our mind changing PM. They have told us: “We do not need experts”, and since science is based on the expert knowledge, I suppose soon we’ll consider the expert based science to be an anathema too. By the way Michael gove was referring to economists when he said ‘experts’ I am not aware he was talking about any of the scientific disciplines, merely one of the black arts which caused our very own queen to say’ but why did nobody see this coming’ referring to the sudden economic down turn in 2008, foreseen by everyone except the economists. Disingenuous – mendacious even. You know full well what Gove was referring to – and it wasn’t science. I’m surprised at you, I thought you were more honest than that. A dose of black humour helps alleviate fear on a perilous journey. I would rather believe that you had fallen prey to the remoaners disinformation campaign and genuinely did not know who Gove was referring to. I have never known you to be deliberately disingenuous. Please complete the Michael Gove quote:- “People don’t need experts whose forecasts are usually wrong”. It was directed at economists – particularly the UK Treasury and IMF who failed comprehensively to forecast the 2008 crash while a mere 11 economists were outside the consensus and did forecast it. We also had a similar incident when 146 economists (neo-Keynesians) wrote to the Times that the Government policy was wrong just at the time UK was coming out of recession. …won’t make it so. You keep saying stuff like this in the face of evidence to the contrary. Is there even a theoretical point at which you might stop chasing that unicorn? Yes, a similar hope may have been expressed in advance of the EPA and Energy picks. Perhaps third time’s the charm. I think we have already learned what to expect from this administration regarding science, and it won’t change with this pick. Another sore loser revealed. Trump is wrong on antivacc. For sure. But he is smart enough not to do anything now that he is in office. It was NOT a campaign promise. He satisfied his base by meeting with Kennedy. Sufficed for political optics. Surprisingly good political move for a nonpol. OTH, his EPA and Energy picks will help clean out those Augean stables. At EPA: WOTUS, CPP, and linear no threshold. At DoE: Solyndra subsidies and EIA malfeasance (see previous guest post here True Cost of Wind for an example). As for OSTP, lets wait and see what develops. Trump’s picks tend to be anti-science. Maybe he won’t even bother with a science advisor. With respect to basic science, Trump is likely disinterested. But with respect to applied science and technology, he would. Especially if it will have real world impacts and positive economic consequences. In the energy sector, he favors the old-fashioned approach, even though solar energy is where more jobs are, not coal. His appointees tend to be the fossil-fuel fans, rather than forward looking, so we’ll see if he shifts having made that nest already. We should remember thst until bettery technology is significantly improved and economical that solar is, at best, a 50% energy source while coal is a 100% energy source. The energy grid needs to account for emergency demands. I’m not arguing a static approach to energy (and environmental considerations), but that we shouldn’t leapfrog context and assume who or what the ‘better’ science-technology-economic-environmental advisor should be. At least coal can be replaced with natural gas as a bridge. This was what the CPP was doing, and economics too because coal, especially clean coal, is less cost-efficient for energy providers than natural gas. Other things like fuel standards for vehicles and green buildings also are cost-efficient win-wins that should be promoted, while encouraging research into storage and batteries. I don’t think this administration will do any of this common-sense stuff, nor have a science advisor that is keen on any of it. I’m still hoping for Trump to name Mike Flynn. Maybe his buddy John Miller aka John Barron who will only be interviewed by phone. WOTUS is already gone, as of yesterday or the day before. Let us not forget this: Children just aren’t going to know what snow is. Are the results in this paper reproducible? Is it capable of replacing the current acceptance of mans impact on co2 concentration? It claims that only 4 percent of human emissions are currently concentrated in the atmosphere, that we have been responsible for only 15 percent of all emissions since 1750 and that residence time is only four years. Temperature-dependent emissions gives it the smell of Salbyism. It’s peer reviewed…Would you like to put forward the scientific argument agains it? OK, Global and Planetary Change is the journal. Now just need to see what he is talking about, but the Abstract is not promising. Realclimate was quick to respond. Also a search for the author finds that this isn’t his first idea on the subject. That’s Loopy Lew Lewandowsky and Cook the (failed) Cartoonist, of 97% fame, right? You have a funny idea about reputable authorities! You’ll be using Wikipedia as an authoritative source next. Maybe you are a Salby follower. Maybe you don’t know what Harde is even saying. You are not giving anything away with comments like this. Not sure Science Direct counts as peer reviewed. What kind of journal is it? All I can find is online youtube hacks to get free downloads, nothing about the journal or its quality. Elsevier stable of journals since 1989. Impact factor 3, so not prestigious. But not a pay to play journal. Science published Marcott paleoproxy hocky stick. Nature published Oleary Rapid Eemian SLR. Both shown to be clearcut academic misconduct in previous guest posts here in years gone by. Lots of bad stuff gets through peer review in the most prestigious journals. Both shown to be clearcut academic misconduct in previous guest posts here in years gone by. So you’ve proven Marcott committed academic misconduct? Yes. And provided the clear cut evidence to McNutt at Science, who did nothing. See essay A High Stick Foul in ebook Blowing Smoke. He said no core top redating. He lied. The comparison between the Science SI and his thesis provides multiple smoking guns. You lose this battle. JCH, since you are unlikely to buy the ebook, it was also a previous guest post of mine here in 2013, titled ‘Playing Hockey-Blowing the Whistle’. Check it out, then get back. This is Marcott’s main contribution (the blue part). It fits well with earlier and more recent records and documents the Holocene Optimum. JD, threading is not perfect. But when you post a chart that is provably wrong, two different ways, you do yourself no credit. When you or anyone publishes a distinct alternative, we can look at that too, and weigh them up against each other. Saw this referenced at Notrickzone. Haven’t read it and do not plan to since am positive some of the conclusions in the abstract are dead wrong. More erroneous Salbyism. Asserted abstract CO2 half life 4 years. Wrong. We know from bombspike C14 that the half life of individual CO2 molecules is ~11 years. That experiment has been done. And the actual atmospheric concentration half life of all CO2 (individual molecules get sunk while others are released) is ~40years. Per many papers. WUWT has had several discussions. Tonyb, another way to easily refute this junk paper. Except for the now rapidly cooling 2015-16 El Nino spike in temp, temperature has not changed this century. Yet according to the Keeling curve, ~1/3 of all the increase in CO2 since 1958 has been in this century. Further disproof. No spike in Keeling curve CO2 from either the 1998 or the 2015 El Ninos. Too funny… February 2017 surface anomaly will likely be higher than a majority of the months included in the 2014-2016 El Niño. So basically the answers to my questions are no and no. ;fair enough. One immediate problem with the Harde paper is that his 4 year residence time is actually the time it would take to turn over all the CO2 in the atmosphere, not the timescale over which an enhancement in atmospheric CO2 would decay. All that really matters is data – and there is a quite obvious increase in CO2 flux with warmth from carbon stores for quite obvious physical reasons – and is all over the relevant literature. And the eighty years decay is based on slow geologic processes – estimates thereof at any rate. Fast processes suggest no recent increase in CO2 concentrations. A new spin on the pause. Chemistry tells us how much CO2 should rise from ocean outgassing with each degree and it is a small fraction of the rise that has actually occurred with the first degree of warming. This attribution is an answered question. Not a chance. Soils are an essentially one direction net source to the atmosphere. Just_like_us, except 6 times bigger. Credit NASA. 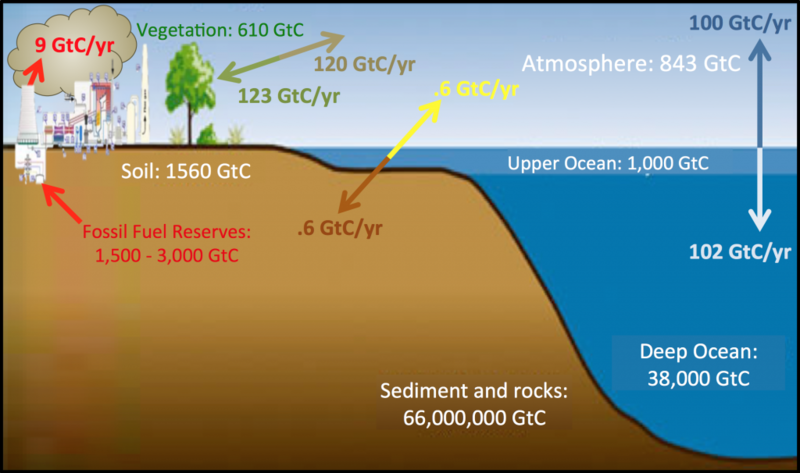 Sixty GTC Carbon from the soils to the atmosphere every year. Negligible return flow from atomsphere to soil. Delayed and discounted flow from the atmosphere to soil via plants. We are talking about the atmosphere, right? If soils are a net source where is the carbon coming from? I can think of exceptions like melting permafrost or forest fires or deforestation that may be net carbon into the atmosphere, but otherwise where is the source other than the CO2 in the atmosphere? Or are you counting deforestation here, which is, by the way, anthropogenic, not really a natural source. By the way, did you notice that photosynthesis arrow in your diagram? That would be carbon into the biosphere/soil. None of the sources and sinks are constant and they are all biologically mediated. Fossil fuels are of course organic. Increased respiration and decomposition in warmer condition. This is opposed by other processes – vegetative growth and the below ground growth that acts to increase soil carbon. This is the simplest biology. Much of the loss from solis and land use has been antghropogenic and we can reverse much of that. Carbon is much better in agricultural soils than in the atmosphere. Knowing the CO2 solubility curve doesn’t relieve you of the need to know other things about the carbon cycle before speaking out on your cause Jim. I spent weeks once understanding a 14 box carbon cycle in Cheasepeak Bay. Right at the end the authors decided they needed 3 times the number of boxes. The ocean is acidifying, i.e. gaining carbon, as well as the atmosphere. Try doing a budget with that constraint. These people are clueless. The oceans are of course a net carbon sink. I think it’s covered Jim. Salby and Harde don’t seem to know this, which is the point to be made when you see these types of papers. Right, Salby sees it as a source, the rest of us see it as a sink, as you said (or did you change your mind now?). You are making things up Jim – and there is a great deal more than just one person. Arguing irrelevant points is a tactic – but not a smart one. Maybe a picture will help you. 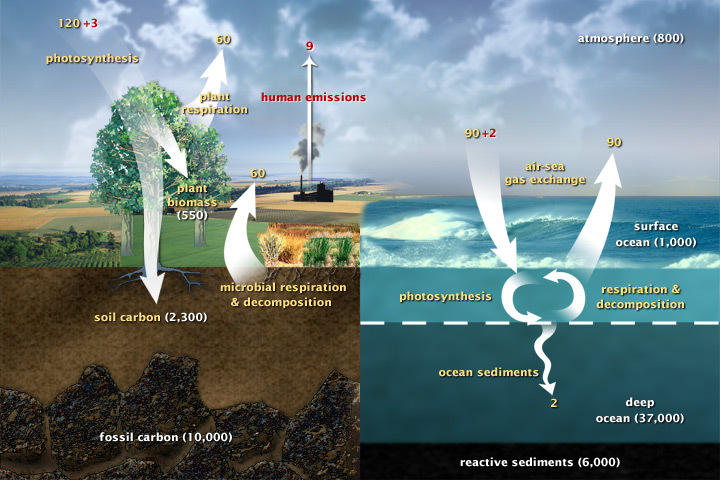 Both the ocean and soil are net sinks, but not enough to counter half of emissions. So instead of considering the additional reference – you present a cartoon and suggest it might help me understand. Up yours. If you want to be taken at all seriously – cartoons won’t do it. I linked this above – along with others. It suggests that something counters all emissions. They don’t dispute that the soil is a net sink either. Are you disputing that because this paper does not address it, and you need to find something more relevant, preferably with a carbon budget diagram. Jim the ocean already has lots of carbon in it and it is alkaline, 8.1 pH. What I argued is quite obvious from the start. What you’re arguing is zero science in bad faith. RIE, I am arguing the budget. We have been adding more CO2 to the atmosphere than the rate at which it increased in the atmosphere by a factor near two. Where is the extra going? Net sink into land and ocean. Where else? Space? You can’t respond straight. The discussion was on whether there was a source of carbon in the atmosphere from carbon stores and that the flux increases with temperature. There is and it does. The argument was that the carbon cycle goes well beyond your silly little budget – nowhere mentioned previously in this thread so just more bad faith and not your argument at all – well beyond slow sequestration based on rock weathering rates – and well beyond a constant rate of increase of carbon dioxide in the atmosphere. We may indeed intervene to change the balance of carbon in atmopheric and soil stores. For other reason not to do with the silliness of global warming and its fanatical adherents. Jim did not say oceans were acidic. He said they are “acidifying”, “gaining carbon”. Becoming acidic, as in moving in that direction, reducing ph overall. Becasue they are now a net sink of atmosheric carbon. Do a search for CO2 increasing at 80, 90, and 100km altitude. I do not have access to the link of an excellent study at hand. 5 per cent /decade up to 90km, 12 per cent at 100km and above. Stop and look. I will post the link later in the day. You may not like the conclusions and ignore it like everyone else, but it remains a significant fact. I have made the comment before, an abundance of fantastic data, so little intelligent interpretation. The oceans are alkaline because they are supersaturated with calcite and aragonite. Supersaturation reduces with biological uptakes and increases with calcium carbonate dissolution. Calcium carbonate is one of the most abundant substances on Earth. One study I read suggested that supersaturation in the Southern Ocean would be eliminatwed late this century. Depends on what scenerio is used – and on the rate of dissolution of calcifying organisms as they sink to the ocean floor. I did not see mention of the scientific method. Maybe I missed it. it would not be unreasonable to expect the IPCC to embrace greater transparency in the selection of material for analysis. I the regulatory agency where I worked, applicants presenting literature-based submissions were required to document their literature searches. who did the literature search? when was the literature search done? what time period(s) was/were covered? what was the search strategy (search terms & Boolean logic)? what was the justification for that search strategy? what selection criteria were used to include/exclude material in/out of the final analysis? i.e. transparency such that the search could be replicated by independent reference librarians. To the best of my knowledge the IPCC has no such protocol. The IPCC is seemingly at liberty to cherry-pick whatever lends support to the favoured political narrative while excluding/ignoring contrary evidence. I see no reason why the details of such protocols could not be available online. The IPCC lit searches are demonstrably biased and woild not pass your objectivity criteria. Documented this for AR4 WG1 in the climate chapter of The Arts of Truth, and again for AR4 WG2 in essay No Bodies in Blowing Smoke. I have to say that, from my studies in the social science of Science,Technology, Engineering, and Policy (STEP), that the “trust me, I know” leverage is used all to often by scientists that are acting as advocates. It is used to invoke epistemic authority, most often with the lay public and policymakers who are not necessarily equipped to challenge that authority. At the same time it is an effort to generate trust in the knowledge being conveyed. This is most harmful when the scientific information is unreiewed, unvetted, and may be incompletely reduced and analyzed. I know that it is very difficult, nearly impossible in fact as a scientist, to not become an advocate for your own research. It’s unnatural to not advocate for your research. Therefore, we must be fully aware of our own biases and acknowledge them when we are presenting our knowledge. Unfortunately, sometimes we are not aware of our biases and the effects they may have, and can unwittingly be trapped by advocates seeking to abuse scientific information. We must watch out for this particular problem and seek to avoid it. I was talking to a plumber – a nice young family man, What he saw was duelling scientists. Which a manufactured consensus was intended counter. Meanwhile – thousands of respected scientists – dare I say Will Happer – are placed on hit lists across the globe by people who literally have not the slightest clue about any science. My plumber said that he was taught that science can provide objective answers – and that he was learning that it can’t. Unfortunately, your plumber friend is right. Science can only provide objectivity related to uncontroversial well established science. Even well established science only represents the currently accepted state of scientific information. In some cases this currently accepted state can become dogmatic and actively opposes alternate explanations that are supported by data. There are numerous examples of this throughout the history of science. The understanding of climate science is comparable to the first wagon train pulling into California. How can a science advisor be selected from the non-partisans, if everyone is accused of being a partisan? Sounds like what David Gelertner says in interviews I’ve read recently. There are a couple of “sore thumbs” in the Declaration that reek of special interests insisting being mentioned in a good light. I have never seen any social science that followed the basic principles of Science and wasn’t almost entirely self-referential — the worst being anything labeled social psychology. So the barbarians are inside the gates here — and great effort must be taken to kick them back outside. If anyone has any doubts on this, look at the field’s lack of reproducibility. The “Public Health” lobby glommed on to the declaration and insisted not only on a point “all their own” but that they deserve the bulk of public research investment. Such obvious interference in the process kind of dimmed the highlights for me. But it is a good discussion starter, nonetheless. I read science consensus and lost interest. 5. The integrity of science needs to be clear and the integrity of scientists providing advice must be unimpeachable. They have a historical dearth of it. Evidence and data for all to see has integrity. It takes people (and processes) with integrity, to produce results with integrity. No inconvenient facts they aren’t telling is about, no other options they decline to pursue, etc etc. There’s just one thing that’s totally incomprehensible to me: Why does Trump not choose the obvious best candidate for his science advisor? Judith Curry. Agreed. I am not a scientist, thus not connected to any community of science (outside of this blog, which I came to out of fascination for a tenured professor of an elite department giving so much up to find a different path to education and truthfulness.) If you are, please find a way to get your views known in the WH. Scientists need to convey the best current evidence while acknowledging the limits of science and listening and responding seriously to criticism. And, how about acknowledging that Leftists’ AGW tinfoil hat is a modern version of Noah’s ark? At least with respect to climate science – and the state of debate surrounding it – argue for suspending climate policy funding. We need to stand down and take the “policy” out of climate science. Science can not be regulated by social science theorizing. Science is nothing more than an extension of childish curiosity into adult years. We are all born with it but gradually it gets lost. One sign of it is the fact that most outstanding scientists do their best work when they are still young or very young. Curiosity exists to protect us from the strange and unknown world that surround us. Parents and schools want to regulate it and more often than not end up squelching it. 1) For scientific conclusions to have value they must be trusted. 2) To be trusted the results must be reproduced by adversaries who are staked in opposition to the hypothesis being validated. Ergo confirmatory studies by team mates are weak validation. 3) Loose protocols, arbitrary selections and lack of prior prediction of results should only be allowed for exploratory analysis. Validation studies need to abide by strict protocols, be devoid of investigator selectivity and require demonstration of predictive skill. The late Michael Crichton proposed the most innovative approach IMO to eliminate biased paleoclimate proxy studies. He suggested adversarial teams conduct simultaneous work and be required to submit results for publication simultaneously. Opponents to the idea will point to a 50% waste of funding. The counter is that results that can’t be trusted by adversaries are a 100% waste. The results would be no more trustworthy. I’ll never trust you. Never. Exactly, but you would trust a Michael Mann’s team if they came up with the same answer. It’s motivated by continuing climate science funding. The plan is that Trump should get an advisor who doesn’t trigger the public but will keep funds going into it. It speculates on the question of what such an advisor has to look like to be acceptable to the public. But keep the funds coming. If it mentioned curiosity it would be more believable, but that won’t keep the funds coming in the quantity necessary. The voters who are on the minds of the politicians. There’s a voter market and competing politicians for it, and if the bogus climate science narrative works best, that becomes the determiner of funding. All the politicians pretty much go the same way accordingly. This is about funding and how to get it to continue, not science. Somebody worried about science would be worrying about curiosity dying out or being actively suppressed in big science. The voters on the minds of the Republicans who now control the funding are almost entirely skeptics. Funding is controlled by four Congressional committees. On the Executive side the Science Advisor has little to do with the President’s budget requests to Congress. The agencies negotiate these with OMB. The Science Advisor’s primary job is to run OSTP. It is not a major position in the Government. It’s not to get his decision but to get his narrative. You want just enough humility to turn off the growth of the skeptical side but not so much that you turn off the funding side. There may be no such middle ground, or there may be, but it’s the best hope for continued money. That’s what’s going on. Sorry, RH, but I no longer understand what you are saying. Perhaps I never did. You have to show that you take the skeptics’ points into serious consideration, so that the skeptics will defer to your judgment on the matter, once they think they’re being taken seriously. After all, you’re the expert, not them. Make them trust you. The problem is that there may be not enough slack to do that any longer. The humility you need to get trust from the skeptics may be too much to support funding, and then you’re out of luck. It’s a scam in any case. Beyond scams, there’s curiosity. That’s always genuine, and perhaps it can get along without funding in the first place. I can’t imagine what it means to be nonpartisan with respect to the climate change debate. One has to have a position. Just to amplify this. Nonpartisan usually means supported by both parties. Trump wants a Science Advisor who agrees with him, hence one that is very partisan. You have to understand that in Judith’s lexicon, political association with science only occurs among scientists that disagree with her opinions. With such a viewpoint, it is easy to find “non-partisans” to fill the science advisor role. Your statement contains its own answer. You can’t imagine why you should not have a position on unproven science. Yet a real scientist can only work that way. If those positions are either it is proven fact and reproducible by independnent observers, to new laws we can test, so proven science, OR a hypothesis which is as yet unable to identify how much of climate change is ACC, how much the forcing assumptions are real, etc. then yes maybe. BUT anything else is opinion/belief, and to hold a position on it is not scientific, if that opinion is then used to invoke expenditure on policies that must make its supposed CO2 causes expensively worse, as with renewables, it’s definitely a bad idea. That’s a climate change protection racket. Extortion Bad science. BS. You are entitled to your own opinion, but not to your own facts. If you are a scientist then only the two positions above are possible. If you are a scientist or engineer and believe the AGW part of climate change is well described by the models, then I will ask you to explain how the hypothesis is calculated and how independnently validated by others experiments, over the time periods predicted ex ante, not ex post, how the forcing variable from CO2 to water vapour was hypothesisied and then proven. etc. The mathematical modelling of science by numerical methods of extrapolating Neural net/AI numercical model type approaches is not science, no laws are discovered. They are mathematical models that track reality by adjusting their constant multipliers on the non linear effect variables included in the model, mostly ex post and interpolation, not ex ante or usefully by extrapolation – right? The proper position on unproven science is that it is unproven. That is the Republican’s position on AGW, which the Science Adviser should share. That would make sense when they decide not to take action that science has advised that they do take. While taking action when the science is not clear as in the case of climate, has no justification. Those who get their science and climate news via all forms of media will never see the problems world wide. Most countries have already implemented and have in place plans to repair the damage. The citizens along with business and government are doing amazing things the western media will never broadcast. India for example planted 2 billion trees along their highways since 2014. As everybody should know trees are the lungs of the planet. Without them the air would not be fit for breathing. There is more to the world than the United States and it’s weapons of mass destruction. The US spent $6 trillion since 2002 on bombing and blasting the middle-east. And here you are arguing about whether science can assist with repairing the damage done to the planet by humans. Get over yourselves, the other 7.2 billion citizens of the world, are not waiting for the US. Your confusion comes from mythical religious beliefs and scientific evidence. More than likely the US would have sent Galileo to be tortured at Gitmo. Carry on arguing facts vs fiction. Humans are not damaging the climate. The Indian trees may be useful in some ways but they have nothing to do with climate (or breathable air). The US also reforested, during the last century. Trees are nice. I live in a National Forest. But none of this has anything to do with climate. Whenever we try to pick out anything by itself we find it hitched to everything else in the universe. Humans have tossed nature out of balance on this planet. For me, the big problem with climate science is that it tries to predict the climate 100 years into the future. 1. All numerical models are wrong. 2. It is impossible to model all of the various influences at the required detail for high confidence output, therefore the models must be simplified, thereby introducing model uncertainty. 3. Models often use real data to force the model to be accurate with history. This an accepted method of model tuning called inversion; however, inversion can produce non unique solutions. 4. Using models that are optimized for historical accuracy to predict future real states of a chaotic system have error terms that grow as a function of distance from supporting real data. The further from supporting data the future model states are, the higher the error becomes. In some cases the error can exceed the model output values, making the model results worthless. This is where the understanding of climate modeling uncertainty is lost in the scientific communications to the public by the politicians and vocal advocates that drive climate change discussions. Unfortunately, climate science has been corrupted by interests that are outside of the science itself, and as a result, the quest for the truth is lost. Based on this, climate science should be conducted in an as interest free environment as possible. Of course this idea is idealistic and unrealistic, but we should build confidence through the use of “honest brokers” (see the book “The Honest Broker …” by Dr. Roger Pielkie). These caveats should be required at the front end of all media discussions about climate change. Just the mere statement of these caveats would require media to become more honest brokers of information dissemination and a lowering of climate change hysteria. Could it be because politicians avoid taking responsibility for their actions. The science told it was needed. Not telling that the scientist where selected to provide the “correct” answer. It is like a meta study, where you have thousands of papes to select between, and they refer to each others in and endless cycle. How to select the essential, and why not look for papers that endorse your own view. This does not seem to be based on facts. It looks political to me. I think this implies that the authors are politically biased and not that much concerned about data and facts. its an era of populism when some who abhor the word-such as the UK and American establishment- realise with shock that other people have views different to theirs. Whilst they obviously encourage a ‘diversity of views’ this does not of course include views that differ to their own ones. Perhaps we can prohibit industry altogether and require scientists, environmentalist, etc. to do the farming, create the drugs and craft the addictive public craves. You know the Golden Rule- do unto others as they do unto you. Ah yes, a perverse application – but how else to respond to an attitude that demonizes entire industries. Sue Eole: Yeah, right. Like on tobacco smoking, fossil fuels use, antibiotics, asbestos, lead, DDT, nutrition? Don’t forget vaccines, information technology and computers, automobiles, electricity generation equipment, and passenger aircraft of all sizes. Ok, you’ve caricatured my point to ridicule it by conflating risk assessment and production. How about a response on substance, instead? Let me give you an example. The overarching justification for most climate change policies today derives from a political interpretation of Principle 15 (now called the Precautionary Principle) of the United Nations Rio Declaration of 1992, which states: “Where there are threats of serious or irreversible damage, lack of full scientific certainty shall not be used as a reason for postponing cost-effective measures to prevent environmental degradation.” Politicians have interpreted Principle 15 to mean that science can simply be by-passed when formulating policy. If one can hypothesize a small possibility of out-of-control global warming, measures should be taken to prevent global warming. The cost-effective part of the Principle is ignored. Full scientific certainty is virtually impossible to achieve from a study. Thus, a special interest group can simply posit serious consequences from this or that human activity, and bureaucrats, based on the Precautionary Principle, can then pass measures to protect us all from the unlikely possibility that the activity will result in serious environmental damage. I would assert that the recent incredible increase in environmental regulations stems from this logic and is not based on scientific results but on hypotheses. I would suggest that the Brussel Declaration is probably an exercise in futility. No matter how righteous the effort, the chances of favorably impacting the dysfunctional behavior of the political elite and the ideologically motivated are slim and none. This is a very large part of the agenda debate – the possible (which includes paranoia) vs. the probable. Overreach is the political danger of the former, which surfaced in the EPA’s concept of puddles being the same as navigable waterways. Time to deflate the balloon of unmoored possibility. Pingback: Weekly Climate and Energy News Roundup #261 | Watts Up With That?